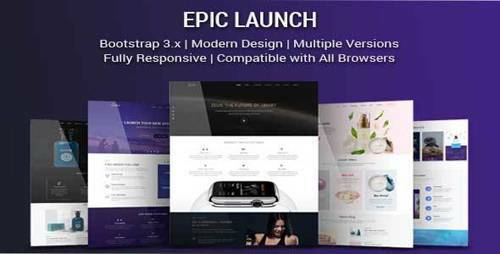 Epic Launch High-Converting Template is an optimized and responsive HTML landing page template, created with latest design and marketing trends. Epic Launch is developed after the study of several product landing pages. You can find different demos for different purpose of conversion. It offers awesome design built on HTML5 & CSS3, Bootstrap 3 and much more.